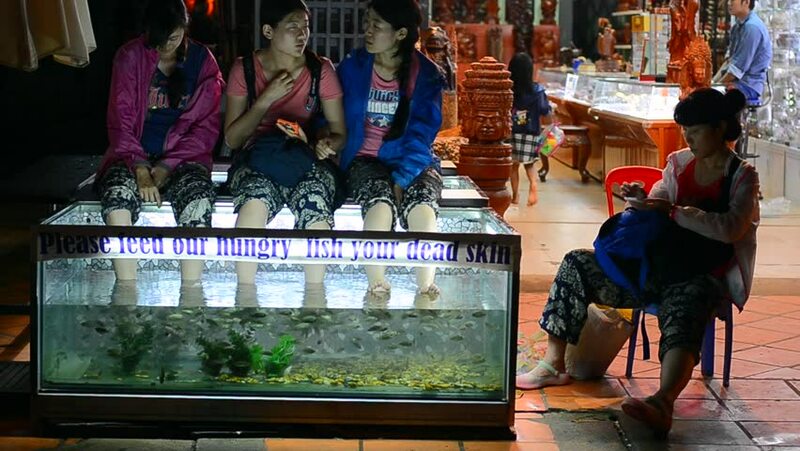 SIEM REAP, CAMBODIA - JUNE 29, 2014: Three unidentified young women have fish massage: little fish eat their feets skin in an aquarium. Siem Reap serves as a gateway to the famous Angkor temples. hd00:23KATHMANDU, NEPAL - CIRCA NOVEMBER 2013: Rickshaw ride in Asan area as seen from the passenger seat. hd00:09CHAUDOC, VIETNAM — DECEMBER 22: Vietnamese woman weaves traditional fabric in december 22, 2014 in Chaudoc, Vietnam. 4k00:15Kathmandu - March 8 2014: Evening prayers at Swayambhunath (Monkey Temple) Stupa in Kathmandu, Nepal. Kathmandu is Nepal's largest city with a population over 1 million. Shot on Red Scarlet. hd00:16CHOFU- Hyottoko show, part of Choufu annual Festival, Japan. SEPTEMBER 23: Annual autumn festival. Hyottoko show accompanied by Taiko drumming in Chofu, Tokyo on September 23, 2011. 4k00:10LONDON - AUGUST 18, 2017: Umbrellas at rain at the souvenir shop storefront and people entering the shop in the centre of London, UK on August 18, 2017.